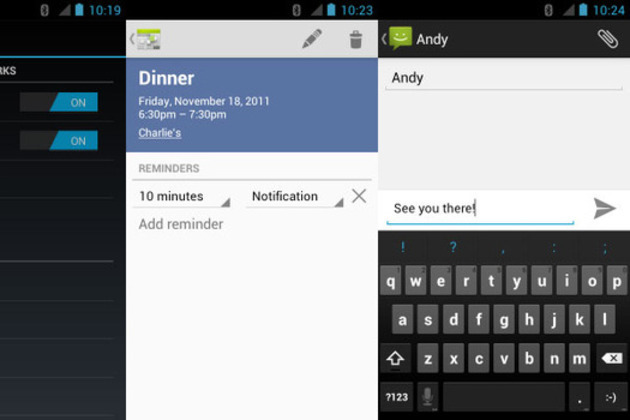 No hard menu button anymore in ics. In a new post on its Android Developers Blog today, Google is giving devs tips on how to better prepare their apps for a brave, Menu button-less future. Honeycomb started the revolution by introducing the so-called "action bar" at the tops of applications and by killing physical buttons in favor of soft, reconfigurable ones, but that was strictly a tablet affair — the impetus to get developers on board with the Menu button's demise is greater now that Ice Cream Sandwich is out and in the process of bringing those same UX paradigm shifts to phones.